We live in an exciting time for marketing. 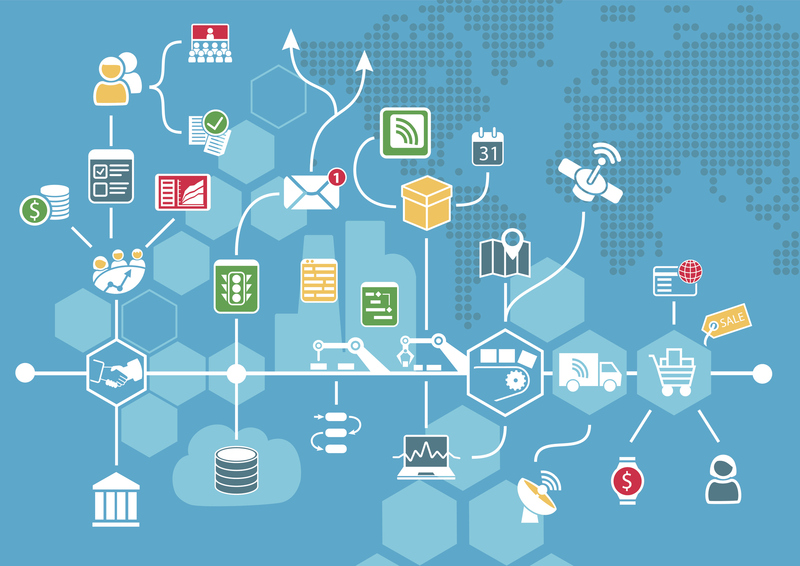 With so many people on mobile devices and Internet of Things (IoT), generating enormous amounts of data, and thanks to the advancement of marketing tools, businesses are able to not only hyper target their consumers, but also automate the marketing tasks, bringing the cost of marketing down, but still deliver the unprecedented experience for consumers, which, in the past, with manual labor force, was impossible to achieve. Before we can even talk about consumers, one thing we, marketers, need to be completely knowledgeable about is product’s strengths and weaknesses. Why? If we are able to get that product with that specific strength to the consumer who would benefit the most, it will generate the excitement from him/her. And when there is excitement, the product is shared via word-of-mouth to his/her friends and family, generating free advertisement, just by the product alone. Vice versa, thy shall know its weaknesses, which often are the areas where consumers will be dissatisfy the most, and thereby generating negative publicity, that could, in this age of social media could spread rapidly and wildly, causing irreparable damage to business. Access – Can consumers easily get the product? Price – Can consumers able to afford it? Variety – Do consumers have varieties to choose from? Quality – Will the product last long thanks to craftsmanship and fine materials? Feature – Does the product have more features than competitors? According to American Marketing Association, “Marketing is the activity, set of institutions, and processes for creating, communicating, delivering, and exchanging offerings that have value for customers, clients, partners, and society at large.” That is pretty dense sentence. So how did the concept of marketing come about? Let’s ride a time-machine and go back to a few centuries ago where you happen to own an apple farm. In-Person Sales. It was a successful harvest. You have lots of apples that you can sell. There really is no other choice than to bring your apples to local market where people gather on every weekend to buy and sell their goods. In that local market, you setup a small display of apples on your cart and pitching to passer-bys to buy your handsome looking apples. You were timid initially, but quickly realized that that did not attract anyone. So you started to scream loud sharing how great your apples are. People started to notice your enthusiasm and started to stop by your cart. Of course, to continue to bring customers into conversion, you have samples and hands them out to customers with a big smile. The apples are truly tasty and good looking, that customers could not resist but buy a bag. Customer Segmentation. Thanks to your great sales skills, business started to pick up. You quickly realized that there were different types of customers. Some wanted to buy finest apples without any scratches whatsoever and willing to pay premium. Some didn’t mind scratches at all but wanted to pay as little as possible. Some wanted green apples, while others wanted red apples. And there were beggars. At first, you only had a basket full of mixed types of apples. To make things more efficient, you started to put finer apples in one basket, and the ugly ones on another, and hid away damaged apples from display. You started to tailor to the needs of different customer segments. But soon, customers who wanted to buy affordable apples quickly got upset since you were carrying more premium apples than the cheaper ones. Though, this was a happy accident. Because you cared so much about your apples that you developed an exquisite process only known you that allowed you to harvest premium apples. On the other hand, consumers who only bought premium apples were very happy since not only were the apples in high quality, but they were always available. Brand Management. The news of your one and only premium apple started to spread via word-of-mouth. People from a town over started to trickle in to buy the apples. But you had one problem. When they came to the market, they got lost because there were already many merchants selling similar apples, imitating your business. You needed to do something. You commissioned a skilled local artist to paint a professional looking signage, with bright colors, with premium quality paint, just like your apples. The artist drew a unique logo of your apple, with vibrant colors, an elegant font, and a slogan that could stick to customer’s mind: “[YOUR NAME HERE]’s Mighty Apples”. Now that there is a great looking, easily recognizable signage, customers were able to easily locate the store, making them happy. This in turn, brought more business. Owned Media. The business was good. But your passion for premium apple didn’t know how to rest. You continued to research how to make even better premium apples. Many asked, out of curiosity, how you were able to make such great apples. Since you were really passionate about apples, and so many asked, you decided to create a brochure that showed beautify images of apples, explained the origin of apples and the exquisite farming process that you are using to grow your apples. With your “Mighty Apples” logo clearly visible on the brochure, with the map of the location of the store, and a small calendar at the back of the brochure with national holidays marked with your logo, that would be useful for people. Now, instead of explaining, you gave out this colorful yet educating, and useful brochure. People liked it so much since not only does it have a beautiful drawing of your “Mighty Apple”, but it also educated them on the farming process, and best of all, they can continue to use the brochure as a calendar reminding them of all national holidays. Soon people started to hang your brochure on their home refrigerators. Customer’s friends and family started to notice the brochure, which became a conversation starter where they then spoke about the “Mighty Apples” and intrigued their minds. Customer Support / Community Management / Loyalty / Retention. There was something unique about your store though. You loved your apples and appreciated customers that came back to enjoy them. You remembered every one of the customers by their names and greeted them. Of course, this made customers super happy since they were recognized and appreciated. You also made the point that whenever people found bad apples, you did not ask any questions but sincerely apologized and replaced them with even better looking apples. Customers loved you, your business, and your apples. Market Research. Pretty much everyone in the town knew your apple and enjoyed them. You were ambitious. But you wanted the whole world to taste your “Mighty Apple.” There were 3 towns near you that you could extend your business to and open second “Mighty Apple” store. You needed to know where majority of your customers came from and whether apples can be delivered safely and on time (distribution). You also needed to know what the competition looked like and how much they were selling apples for and whether your price level could match theirs. You chose the town that showed most promise, that is, where more of your customers came from, and there is not too much fierce competition. Hopefully, above example was simple yet entertaining enough to show you a glimpse of what is behind the marketing. It indeed takes a huge share of the business. Once the product is out (and many times before product is made), it is marketing’s job to find the right customer segment to then market to and deliver the product, and provide excellent customer service so that they continue to be repeat customers. Above example stayed with signages, brochures, and newspaper ads. You could have put up a big billboard too. But the communication medium continued to evolve. Magazines became popular, and so did the direct mail (catalogue) business. How about when the radio and TV came about? That truly revolutionize how businesses advertised. Let’s not forget to mention telemarketers from early 90’s to 2000’s who made endless cold calls to sell when phone became very affordable. Physical locations such as local showrooms and tradeshows where you can demonstrate true benefit of your product continues to be significantly important and still an essential part of the sale process. With the invention of Personal Computers and explosive popularity of Apple Computers in the 80’s, engineers’ dream of connecting computers in the 90’s and their tireless passion of connecting computers globally that led to Internet and World Wide Web in 2000’s, brought permanent footing of the digital world. Just as Steve Jobs shared 27 years ago, “Man is a toolmaker, has the ability to make a tool to amplify the amount of inherent ability that he has…what we are doing is building tools that amplify a human ability…the industrial revolution was an amplification of a human ability, sweat…What we are working towards now is the ability to amplify another human ability and we are just starting to get glimmerings of where it is going to go,” we are living in that world where our supreme tool, mobile phones and Internet of Things are getting faster and smaller, and with the launch of iPhone and App Store in 2007, Steve Jobs has not only brought us into that vision but catapulted us into unleashing our inherent abilities and creativities, all to better serve our own humanity. Display Ads. With the introduction of Internet and World Wide Web (Web) brought ability for people to connect to other computers globally. This meant that people could access information anytime given they have access to the computer that is networked. This meant that more and more people started to get on the Web. We begin to see innovative companies forming and providing tools and services on Web in the form of Websites. As more people flocked to Web to seek information, entertainment, and service, this meant there is an advertising opportunity and the hence the banner advertising was born. It is a literal translation of a billboard into digital form. Google, with its acquisition of DoubleClick, became largest advertising network. Their product is called Google Adwords. Since this product brings 99% of Google’s revenue, it is packed with a lot of advanced features, including built-in automation to control what type of ads are targeted to what segment of consumers and from where and what devices they are using, etc. In addition to display ads, Google Adwords let you bid against video ads on YouTube. Search. As Web continues to explode in a rapid pace, that meant that there were billions of websites (870 billion website at the time of writing) and there is just no way for people to find the right content. Yahoo started the Yahoo! Directory service, and made good profit driving banner ads on it. But this method of finding information was not good enough. There just were too many good websites out there. And finite categories in Yahoo! Directory could not serve potentially infinite categories of topics people searched. Hence the search engines were born. They crawled and indexed every websites and webpages on Web. Amongst all search engines, Google with its incredible PageRank search algorithm, became everyone’s favorite, with its all powerful relevant search results. Google continues to lead the search engine market dominating 63% of shares, closely followed by Bing with 20% and Yahoo with 12%. Though they had to make money. They brilliantly introduced an advertising similar to search results that is based on search keywords and allowed advertisers to bid on the keywords on which advertisers wanted their ads to show on, hence Search Engine Marketing (SEM) was born. Google also made sure the web page behind the advertisement was useful for the users. Google Adwords, the same tool that you would need to use to create display ads, is used to create search engine advertisements. Adwords has powerful tools that you research keywords that people type on Google search engine, automate the bidding based on certain criteria, and also target audiences based on their profiles and behaviors, including creating and targeting look-a-like audiences that are based on the profile and attributes of converted customers. Email. As Internet took hold firmly, so did the Email (Electronic mail). The concept is super simple. Everyone gets an Email address, just like a postal address, and can send a message or “mail”. Emails can be exchanged as real-time as the exchangers want, or as passive as a voicemail or a postmarked mails that you would often stash away until weekends. Despite advancement of mobile phones, Email still continues to dominate as the number one communication channel with 250 billion emails sent daily. Marketers continue to send brochures and newsletters in the form of Emails. From the time when businesses did “E-blasts” to now more triggered and personalized emails, email technology has continued to evolve significantly. Elaborate marketing automation systems like Salesforce Marketing Cloud with its tight integration into CRM (Customer Relationship Management) system, and Journey Builder tool, or its competing product, Adobe Campaign, allow businesses to personalize emails to their customers based on not only what they wanted to learn more about, but via machine learning, and artificial intelligence, predict what customers might want to see and when. Social Media. In the early days of PC, pre-Internet era, people used modems to connect to other computers that is located beyond a room or a building. Applications like Bulletin Board System (BBS), and companies like Compuserv, American Online (AOL), Prodigy gained huge popularity providing services for people to “dial” in and form a community. People shared their likes, hates, wants, and needs with a group of similar people with similar interests. If Emails were mostly one-to-one communication, BBS and other forum driven communities allowed sharing of one-to-many. When Internet and Web took off, people and companies naturally brought similar BBS experience to Web. Websites like GeoCities.com, MySpace.com, Classmates.com took off, allowing people to get connected and share. Fast forward to today, we have Facebook, Twitter, Instagram, LinkedIn, Pinterest, Snapchat with billions of users using one or all of these services monthly. One of the big reason why social media took off is due to advancement of mobile phones and its mobile apps, especially with the launch of iPhone and App Store. Mobile phone platform was the perfect platform for social media apps like Facebook and Twitter, where they can check update of their loved ones and share their updates. Amongst all social media companies, Facebook, although took some years to perfect it, was able finally launch a incredibly robust advertisement platform for businesses and was able to turn billions in profit. Their secret sauce lies within the users themselves, where they self identified who they are, what their interests are, and revealing even their religion and marital status, all to better connect to their own close-knitted friends and family. Combining this incredible personal data, Facebook brought in Audience Data Providers such as Acxiom, Datalogix, Epsilon, to name a few, to create Partner Categories targeting. Audience Data Providers are data mining companies that buy up anonymous data of consumers from various shopping and travel websites that know so much about us and our spending habits. Facebook then ties these anonymous data to individual Facebook users, giving advertisers the laser sharp ability to hyper target Facebook users to serve up most relevant and therefore highly converting ads. Furthermore, Facebook allows businesses to upload unique IDs such as emails that could be used to identify their own customers that are on Facebook, and lets the business target advertisements to their own customers. If that wasn’t enough, Facebook allows businesses to create a look-a-like audiences from profiles and attributes based on their own customers and create a group of new potential customers on Facebook that has similar interest and potentials to convert. Businesses have been very successful and happy with these powerful Facebook marketing capabilities. Mobile. Evolution of mobile devices is an interesting one. Mobility started with Pagers in the ’90s. It lets people send numeric messages to leave their callback number. People began to use it to send special numeric codes to their loved ones (e.g. 07734 = hELLO). Soon, Pagers were overtaken by the mobile phones as it became more affordable, convenient to use (you didn’t have to look for a payphone to check your voicemail), and powerful (do more things like adding a calendar item or browse Internet). Though since people had to pay dearly for it, government put a strict regulations, and it became difficult for the marketer to use it. As cost of SMS (Short Messaging Service, or many refers to it simply as Texting) came down drastically in recent years, more businesses started to leverage it to provide better customer services including sending confirmation codes or status of your order. With the introduction of iPhone and launch of Apple Push Notification Service in 2009, this service truly revolutionized how mobile apps and businesses communicated with people. Google with its Android platform quickly followed the suit in 2010. The reason it gained a huge popularity is that it was virtually free for both businesses and users, whereas SMS/Texting costed hefty. Plus applications were only able to send push notifications if users installed the application, which also meant that it was a way to authorize sending of the notifications. Users are also able to easily opt out from push notifications. As more people has mobile data services wherever they went, SMS was augmented with Messaging apps like Apple iMessage, Apple FaceTime, WhatsApp, Facebook Messenger, and now Snapchat that allowed people to exchange instant messages with each other, including sending graphical and animated emojis, do a face-to-face video calling, and so forth. These messaging apps with their super rich features to express themselves, combined with push notification services, they have far outweighed as the medium of communication. Businesses started to use these communication medium to market to their customers. With millions of mobile apps on the Apple App Store and Google Play Store, and as the mobile phones become more advanced (e.g. Apple’s 3D Touch or Samsung’s Heart Rate Monitor), so are the apps that people create to leverage these phone features. Mobile phones are able to provide complete immersive end-to-end experience for its users, and businesses are there to take fullest advantage to marketing then their products and services to their customers. If you are a big brand with big budget, your business probably have launched a feature rich mobile app, that allows people to place and track their orders, locate stores near them, and even manage their loyalty reward points. Some of my favorite apps are Starbucks, AMC Theater, and Amazon Underground. One unique advantage of having your own branded apps is that it can collect unprecedented level of data about the customers via mobile phone sensors, including accelerometer that tells how fast the phone is being moved physically, GPS to detect the location of the device, and gyroscope to determine orientation of the phone, and send push notifications to customers that are personalized and timely, making it the ultimate engagement, conversion, and retention tool for businesses. Content. At the core of all of the digital marketing channels aforementioned is the useful, educating, and entertaining content that shows the true benefit of the product. These content usually sit on the website (or mobile app) to further engage customers and convert them at the right time. It is important to know what and how various content works for individuals, and at what stage the individual customers are at so that personalized, timely, and relevant content can be used to re-engage and bring customers closer to conversion. 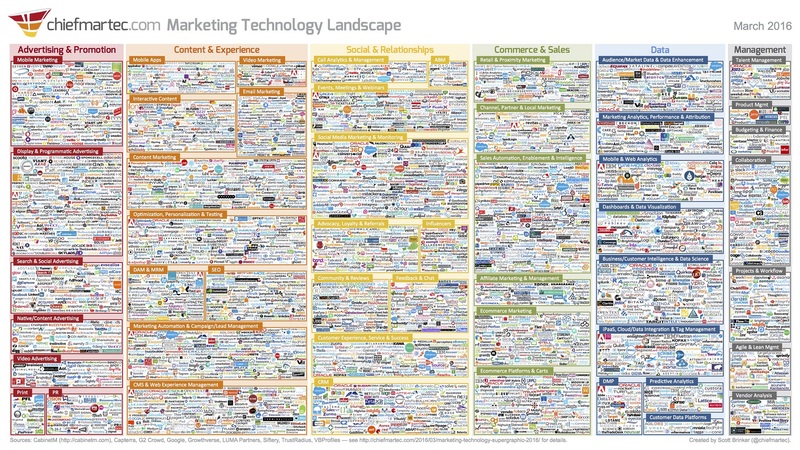 This is where marketing automation become crucial. Most common channel for content is social media since it allows businesses to target audiences with finer control on content (e.g. delete or modify content). More direct channels such as emails, SMS, and push notifications can be used to drive more personalized and timely content. Contents can be an article, photo, infographic, motion graphic, case study, whitepaper, and even be an e-book. Live webinars, recorded sessions, or videos are also very common and engaging form of content that could bring that much richness of your product to customers. The goal of content should be useful, entertaining, and educating. Without content having these elements, it will be less engaging and less memorable and less share-worthy, yielding less ROI. Given so many digital marketing mediums and methods, how does the marketing automation work? Essentially, thanks to technology and many creative entrepreneurs out there that created incredible software services that are affordable, many of us the marketers are able to perform many essential digital marketing functions using these tools to automate and thereby amplifying the marketing engagements that are personalized and timely. Phase 0: Product Focused. This is phase 0 because traditionally businesses start with products or services that are usually known and so they focus more on the product innovation, to make it different and stand out from rest of competition. Think of many coffee shops, laundry shops, hair salons, restaurants around us. Their marketing materials and tactics are focused mainly on the product or service they offer, promoting one of five attributes of product, but usually more around location, price, variety and quality. If these businesses have a website, social media, or even have ability send email, and any mobile apps, they are mostly around showcasing the product features. At this phase, there is really no marketing automation, other than ability to publish product related content. If you are at this stage, even though content you publish may be limited to product, I would still encourage you to continue generating quality content as it will continue to educate consumers about the product offerings. Phase 1: Customer Focused. It is not that hard to think about our customers, but often times, if we are too product focused, we might become like The Soup Nazi from Jerry Seinfeld, too focused on our own products and forget about the customers who are using the product. In this phase, our marketing becomes customer focused. This is an incredible feat for the business, as many businesses are still stuck at the product focused stage. We finally break away from our own ego and mole that we put ourselves in, and open our eyes to the users and consumers of our products and services. We start to imagine how our customers will engage and use our product and not only resolve any issues that customers encounter but take this feedback to the product development and enhance the feature so that this issue will never happen again. Though, at this stage, businesses are customer-agnostic, that, we focus only on one customer model in mind, and treat all customers as one equal users of the product. The marketing contents and advertisements on the website, social media, email, even mobile app, are then created for that one customer. Phase 2: Segmented – Manual. As the business become customer-centric, or customer-focused, we begin to see different types of customers. There may be moms that has different needs and use of the product than dads. How about working professional moms vs staying home moms. How about their income levels or interest or geographic location? To get started with segmenting your customers, often creating Personas help speed up the process. Personas are archetype of your customers with the full profile, background, demographics, their likes, and dislikes. For example, if you own a cafe, a staying-home mom might be one good persona to create. What are their typical age and income? Do they bring children? If so, how old are they? When do they usually come and where are they coming from? What do they order and how long do they stay? And what is their Lifetime Value? By looking very deep at this one persona, we can learn so much about this group of customers and how best or worst your business is catering for them. You can also determine market potential based on type of customers and the lifetime value. For example, if staying home moms with children coming to store will not negatively impact the store operation and other customers, then given that there is high potential as its lifetime value is high, perhaps the business can invest in this group, like adding a children play area. Based on personas, your business can now market to them differently, with different messaging and offers. Your website should feature different content sections catered for different personas so that they can see the products and benefits from their perspective. If you are selling laptops that are perfect for the first-year college students, your website will have a special section just for the first-year college students to checkout, create offers to entice them, and even buy advertisements and hypertarget them via social media about this special deal that you have for them. Emails should also be segmented based on the persona with the content and offers catered for each personas. If you are selling to businesses (B2B), Account-based Marketing can help you get started. The gist of this approach is that it is usually hard to reach the decision-maker within the enterprise, and that the path usually starts with category champions (end users) that do the research, and then raises the product to influencers. And influencers will push their recommendations to decision makers. For example, if you are selling a Project Management tool that has great marketing and design workflow. It is likely that project managers (PMs) and the designers themselves will be looking for such tool because they need to organize, streamline, and save time doing something that a software tool can help, often giving free but limited trial accounts. Seeing how powerful the tool is, the team recommends the tool to their managers. While PM manager is considering purchasing of the tool, he/she hears from Design Team manager that they are looking at the same tool since they too want to organize, streamline, and bring efficiency to design process. Both meets and recommends the tool to CTO, who is the decision maker, that owns the budget. To maximize engagement, marketing content for the website, emails, social media needs to cater to champions/end users that focus on features, influencers for pricing and other organizational benefits the tool can bring, including collaborating with design team and PM team, and finally, content tailored for the CTOs, about any steep discounts, support, SLA (Service Level Agreement), security, and integration with existing systems and tools. This means your website may have separate sections for different personas and B2B roles that are catered to their interests and needs. Your email will have preference center where different customers can signup for different types of emails of interest and possibly one or more social media channels. This is still incredible. Not many businesses are able to come this far! You are now ready to automate these marketing tactics! Phase 3: Segmented – Automated. Instead of customers manually declaring what type of content they are interested, to enable automation, you will need to start building the profile based on their behaviors. This is the first step in marketing automation. Have the customer visited more pages on “mom” section than “dad” section? Did they look at more lower priced items or higher priced items? What items have they leave on their cart or went ahead and purchased? You can also use gated contents to gather more data about that customer. If there is a whitepaper that may be of value to the customer, before they can download, they would have to share something about them. The form can possibly contain information about customer’s title or company that they work. This will come in super handy for identifying B2B roles and initiating Account-based Marketing. You can also use progressive profiling technique on the gated contents so that instead of asking 10 different questions, it can start with 2 questions which is far more number of questions that customer will likely fill out. Gather and keep lead scores based on different behaviors customers engage on the website, email, social media, and even on mobile apps. When customers reach certain score that affirms the persona, or role that he/she may be in, we are now ready to automatically target catered content to them without the hassle of customers engaging the static content. Website can remember and recognize who the customers are and start serving up content and offers that are most relevant to them. Customers don’t have to sign up to different email newsletter but just one. That email will have the content and offers populated based on the personas and roles. Different content for different group of customers can be hyper targeted on social media and mobile apps, bringing most relevant content for the customers. This sounds all amazing. And it is. If your business is at this maturity stage, you should be proud of your marketing automation achievement and hopefully reaped the ROI benefits. This level of marketing automation definitely achievable currently with the tools that are readily out there in the market. But believe it or not, many many businesses are far from achieving this stage. Phase 4: Machine Learning, Artificial Intelligence -> Personalized Content -> Predictive, and Prescribed. As technology continues to evolve in such fast pace thanks to ubiquitous and abundant availability of computing resources offered by Google Cloud Platform, Amazon Web Services, Microsoft Azure, and Heroku, these incredible services are fueling startups and creating innovative digital marketing offerings. This keeps large companies like Salesforce, Microsoft, and Adobe busy innovating their core products mostly through merges and acquisitions of small startups. Digital marketing and marketing automation has entered firmly into the era of machine learning, artificial intelligence driven solutions that can serve up hyper personalized, predictive, and prescribed content, bringing the most relevant product (solution) to the hands of consumers when and where it is needed. The key to enablement of this incredibly personalized, predictive, and prescribed digital marketing lies in identifying the individual, over multiple devices (Adobe offers this level of tracking via MCID and Device Co-Op), not simply as a persona, but as an individual customer. Then visit to websites, clicks on emails, replies on social media posts, and swiping of mobile apps are tracked and collected. This data is then fed into the aforementioned powerful cloud services, where it is processed even in real-time, and recommendations are generated and served up to the individuals, enabling the powerful personalization that are predictive and prescribed, on top of already robust persona driven contents. Salesforce offers Einstein that tracks customer behaviors on the website and mobile apps, send 1-to-1 personalized content via email, mobile apps, and on the website. It further pairs up the behavior data with machine learning to serve up most relevant products, offers, and content all automatically. Adobe offers Sensei that applies machine learning and artificial intelligence to automatically tagging images with over 100,000 words including, activities like hiking and swimming, emotions like crying and laughing, objects like cars and boats, and even name of locations and types of animals. In terms of digital marketing, it detects anomalies in data, analyzes sentiments from social media posts, personalizes targeting of content and products based on their past behaviors, and automatically calculate and deliver advertisement attributions, segmentations, and reporting saving endless hours of marketer’s valuable time. It is truly remarkable how far along marketing has come along. Marketing is no longer a feel-good, off-the-cuff, gut-reacting tactic but a precise science with some serious computing power behind it. Though, still many large corporations are in need of catching, putting the brick-and-mortar small businesses way in front of the maturity stages. But rest assured, I am confident that technology will continue to advance at the breakneck pace, and soon, marketing automation will be ubiquitous as air. Why? This is the only way more goods can be made cheaper, faster, and better, making this world a better place for all humanity!